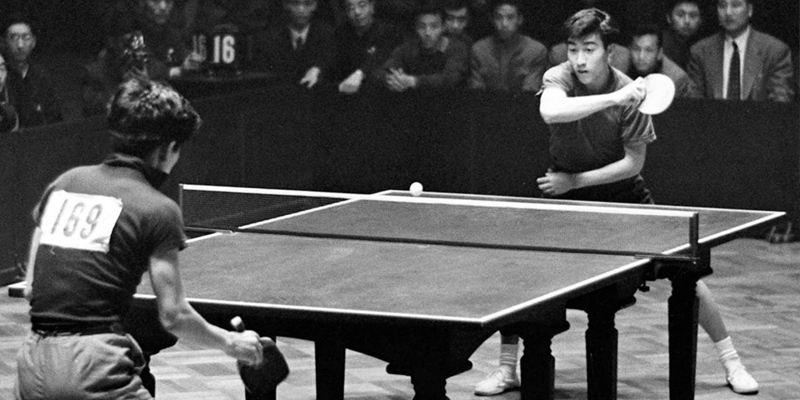 Table tennis was banned in the Soviet Union from ca 1930 to 1950. The sport was believed to be harmful to the eyes. Table tennis became a medal Olympic sport in the 1988 Summer Olympics in Seoul. Early table tennis paddles were normally made of cork, cardboard, or wood, and covered with cloth, leather or sandpaper.